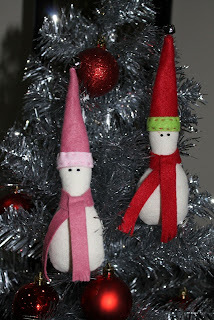 Jody's Crafty Creations: Merry Xmas and a Very Happy New Year! I know it has been way too long since my last post...but I have still been sewing! Grab a cuppa and I'll show you what sewing I've been up to. First of all I wish you all a Very Merry Christmas and a Happy New Year! I hope your Christmas has been wonderful and you have been able to spend time with family and friends. We have had a lovely, relaxing Christmas and I have eaten way too much over the last week! I definitely need to get back to the gym now and work off those chocolates and Christmas dinners! This first photo is of my daughter and a little purse that she made. I managed to go along to the Australian Quilt Market in Melbourne with my local patchwork shop 'Riviera Patchwork' (a huge Thankyou to Gayle for letting me tag along and 'help' her). We saw heaps and heaps of fabrics (how on earth do you choose just some of them to stock in the shop?) and heaps of new patterns too. We met up with the designers and a had a look at their new designs and talked about what they've been up to. I found this little purse kit there and brought it home for my daughter to make up. All the fabric, threads and purse closure was included. My daughter and I sat down and made it up over a couple of days - and she managed to do the hand blanket stitching herself too. I think it looks lovely. The next photos is of another Mini Magoo (a Melly & Me pattern) I made up recently - I think this is a cute little pattern and perfect as a present for a newborn. Now - to the Christmas Presents! My son asked me a couple of months ago if I could make him an Angry Bird. Now if you are not familiar with Angry Birds - it is a free App you can get on your smart phone or ipone. He loves playing this game and is often asking if he can use our phones to play the game. They have lots of Angry Bird toys and things you can buy from the shops - but he really wanted me to make him one. So here is my version of an Angry Bird that I made for him for Christmas. 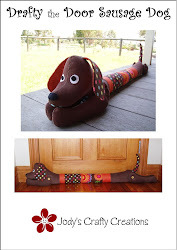 It's made of polar fleece and so is nice an cuddly. He was VERY happy with it and said he just LOVES it which makes it all worthwhile! 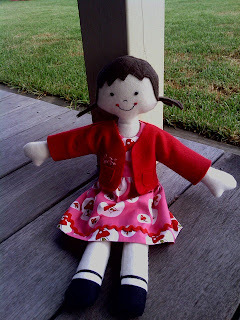 For my daughter I made up a Jodie Carleton (from Ric Rac) design called Little Red. She is made using a wool fabric for her body (called Doctor's flannel - which I sourced from Ballarat Patchwork). The other fabrics for her dress (is the Woodland range - which is definitely a favourite of mine) and the cape fabrics came from my local patchwork shop Riviera Patchwork. My daughter LOVES her and loves the details of her shoes and laces and the little basket of carrots and strawberries she is carrying. I spend many late nights making her and trying to keep it secret so it was a big surprise on Christmas day. I definitely succeeded there - as she had no idea about my secret late night sewing! 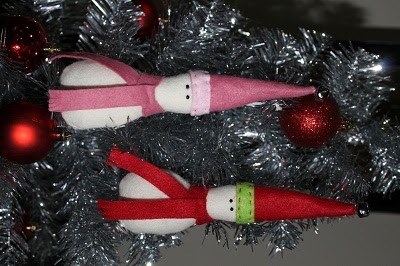 I also made these cute little Christmas decorations as pressies. They are from Rosalie Quinlan's Petit Noel book. I used the left over doctor's flannel fabrics for the bodies and felt for the hats and scarves. And lastly I also made another Kinder girl (Ric Rac design). I do love these dolls. 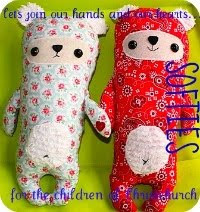 They are very lovable and just the right size for a child to hold and play with. She is made from doctor's flannel too and the dress fabric is also from the Woodland range (told you it was one of my favourites!). I did also make one of the stitchery hearts from the Petit Noel book (but didn't get time to take a photo) and another one of my Christmas Birds as teacher's gifts. So now you're all up to date! That's the sewing I've been doing lately - and I still have a few more items on the go (but don't we all!). Have a great New Year and I hope to be back sooner - rather than later - next time. Adore all the toys you've made. Especially love the Christmas decorations. There's no end to the fun you can have making toys. 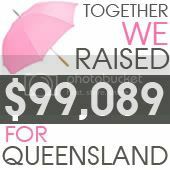 Good on you.